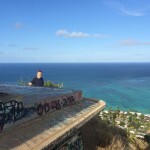 I’ve written about how much I love The Pillbox Trail in Kailua here and again here. 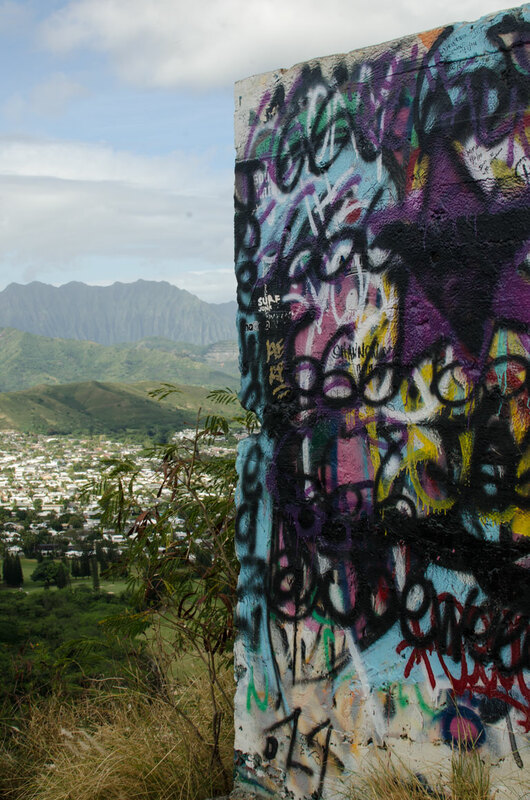 It’s a short, steep hike that brings you high enough to take in 360-degree views of the windward side of Oahu and the Koolau Mountain Range. The perfect place to watch the sunrise, I always bring my friends and family up here when they come to visit. 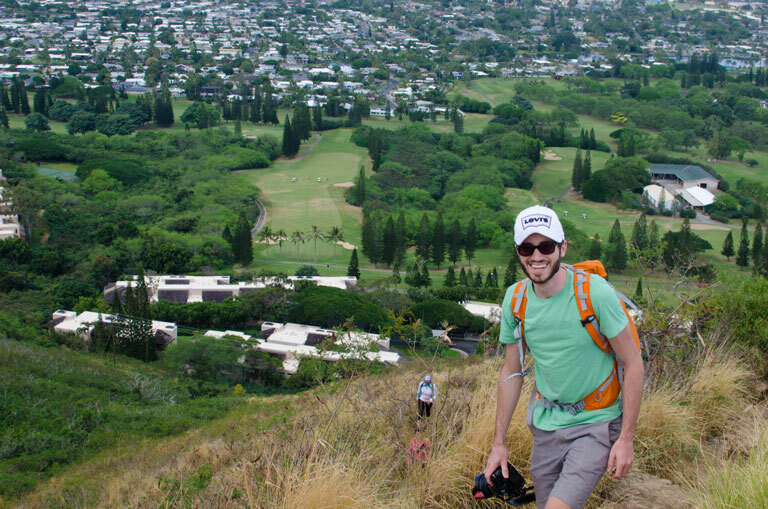 By no means “off the beaten path,” you’ll find locals walking their dogs as well as tourists along this trail. 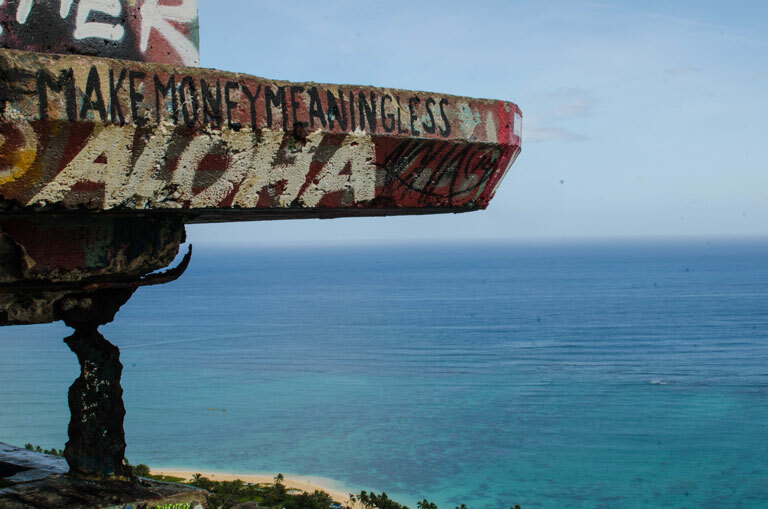 I feel like when something in a place like Hawaii is really good, there is a good mix of tourists and locals, and that’s what you get here. 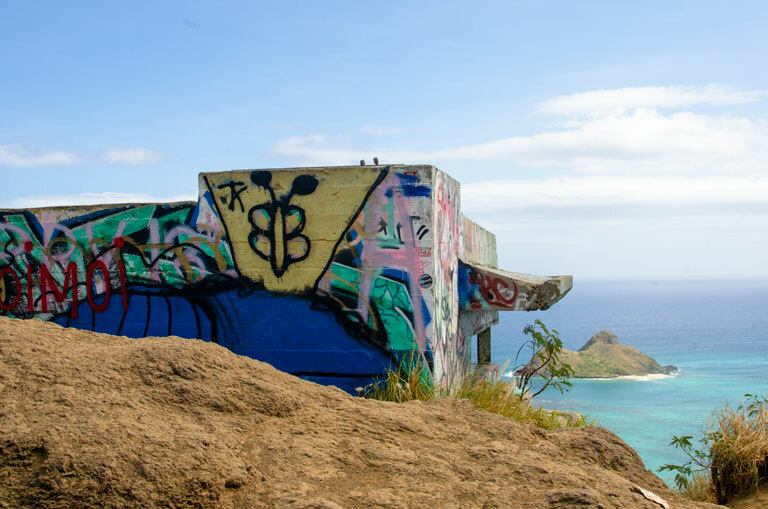 So when my brother told me he wanted to do the Pillbox Trail, even though we had already hiked it together the last time he was here, I was so happy. 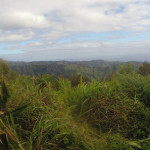 So we got up early, got some good coffee, hiked up to the top, and spent some time just enjoying the view. My brother decided that this is his favorite spot, too. 1. Parking is hard. The trail is in a residential neighborhood, and it starts literally behind someone’s house. There are a lot of places where parking is not allowed. You will be able to park along some of the neighboring streets. Your best bet to find parking easily is to go early in the morning. 2. There is no shade so wear sunscreen and bring plenty of water. 3. 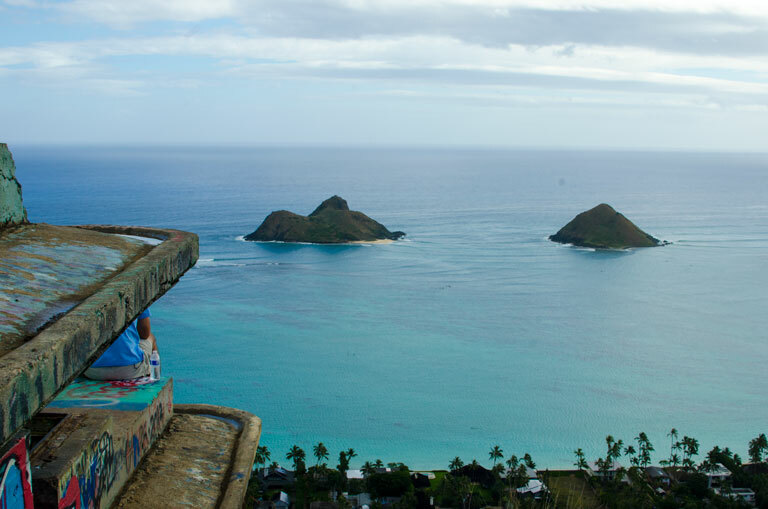 There are two pillboxes. 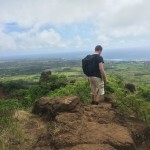 It is worth it to get to the second hike — the views are a lot better! 4. The trail is very steep and very slippery at parts. 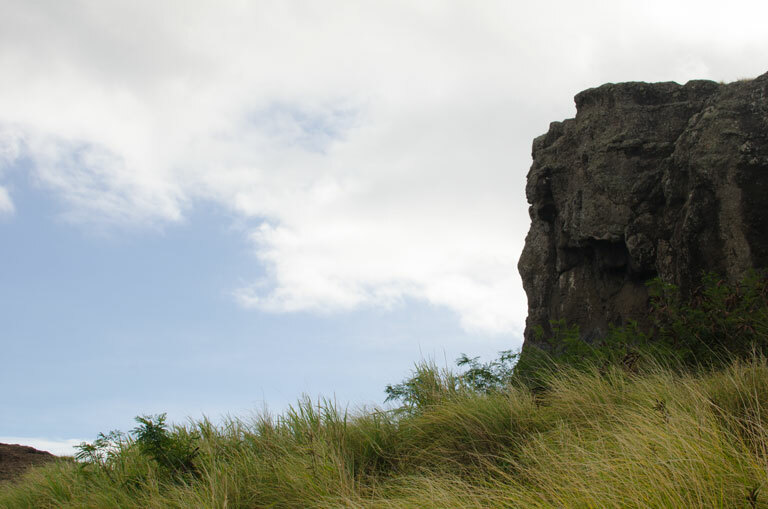 Wear hiking shoes and be very careful. 5. 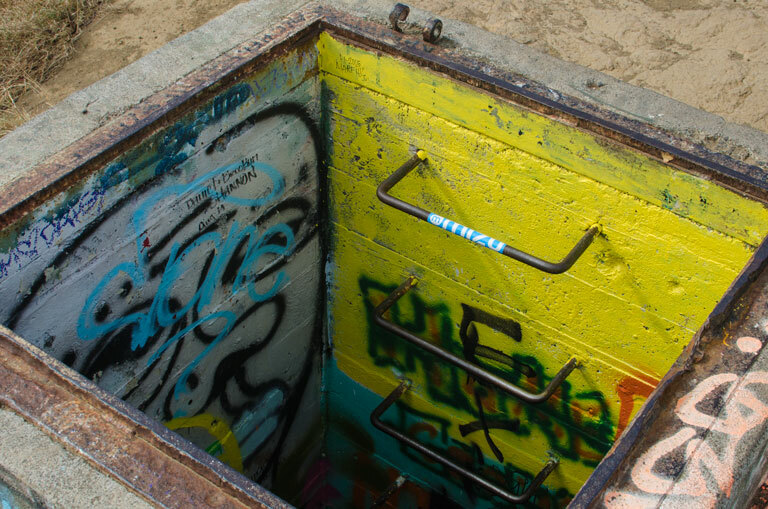 Type “Pillbox Trail” into Google Maps, and you will get there without a problem. 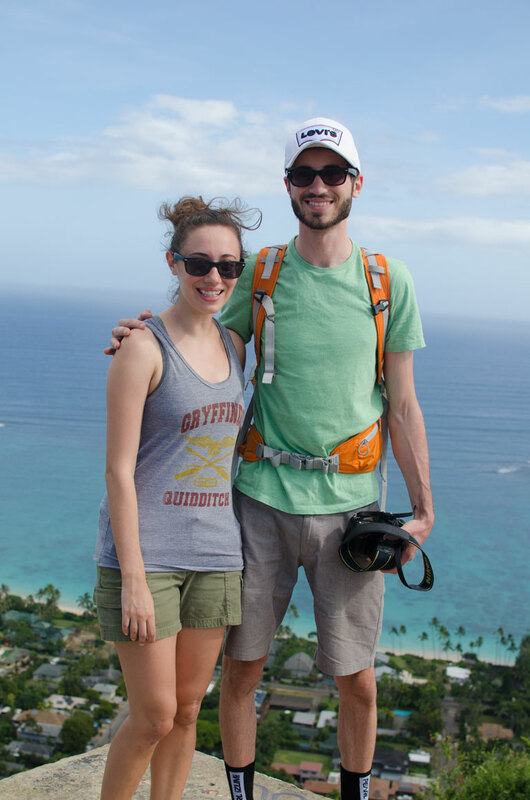 I love that you’re wearing a Gryffindor Quidditch shirt! This looks beautiful! I can’t wait to come! hahaha! this is definitely on the list of places I want to take you Christy! This looks amazing!!! 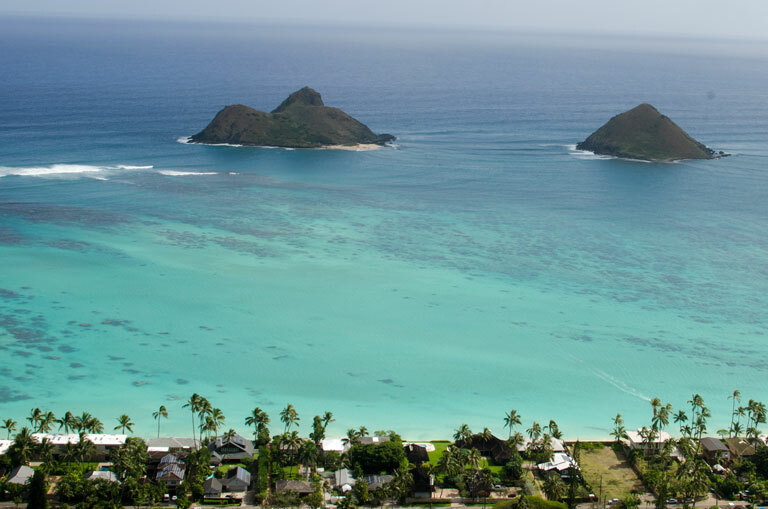 We have a layover in Hawaii on our way back to the US in March. 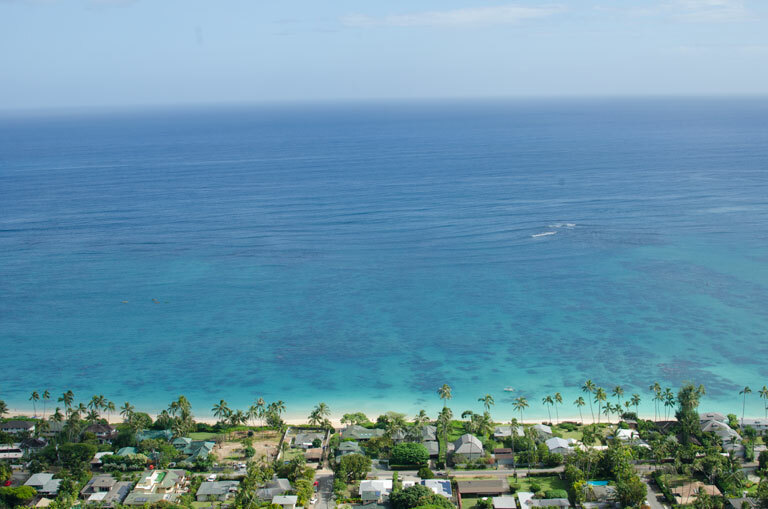 We will be staying with my grandparents in Kahala. Have any recommendations for a 24 hour layover?! Oh yes I have some ideas for things to do! What kinds of things are you thinking of? 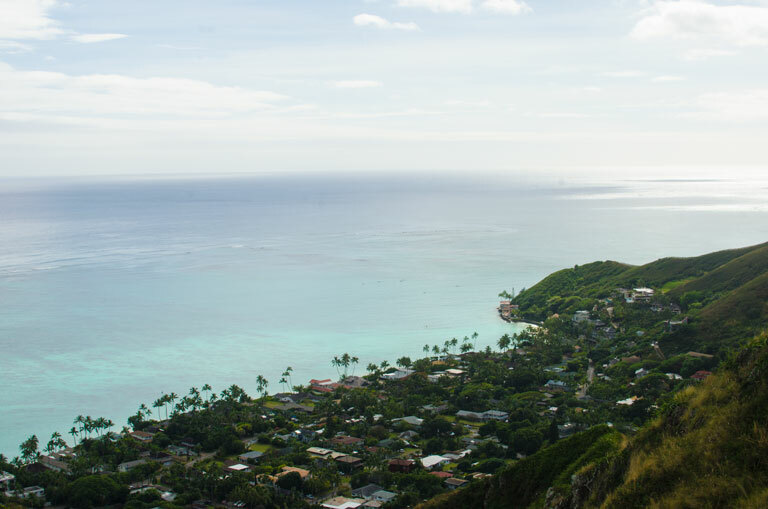 Hiking, beaches, museums, food? Send me an email at carolannchambers23@gmail.com if you want to talk more! You guys look like official hikers! So glad you had a great time together. Seems like no place there is short of magnificent! It was so much fun to spend some time with my brother and to share with him some of my favorite spots! There are so many magical places here. I am still discovering more! Just look at those views from the top! 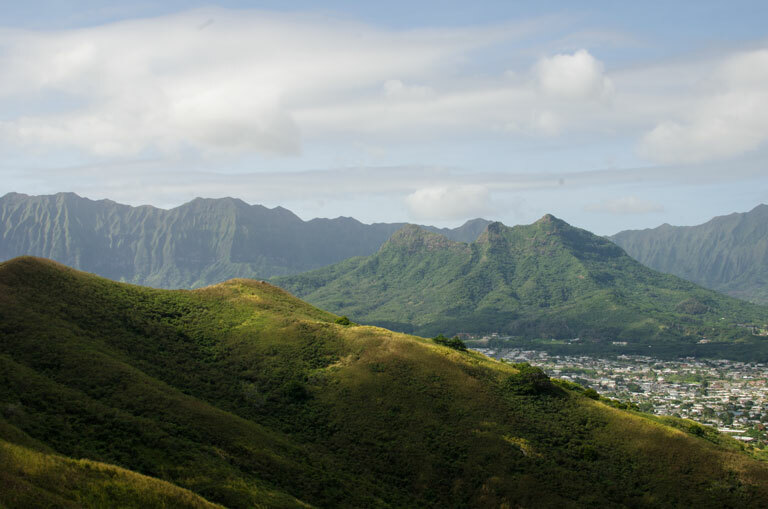 One of the reasons I’d love to visit Hawaii is that apart from the beautiful beaches, there is all this hilly and moutnainous scenery which I know my husband would love as he loves hiking! Was it a tiring hike? I think sometimes people forget how many amazing trails, mountains, and waterfalls we have here! This trail was very short but kind of difficult at times because it was very steep and slippery. As long as you are careful and have good hiking shoes you would be fine! Thanks for stopping by Vera! We are trying to make the absolute most of every second here! Gorgeous!!! 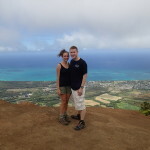 The only big hike I’ve ever been on was diamond head. It was good but this looks way better. Also I totally love your tank top! hahaha thank you Holly!! 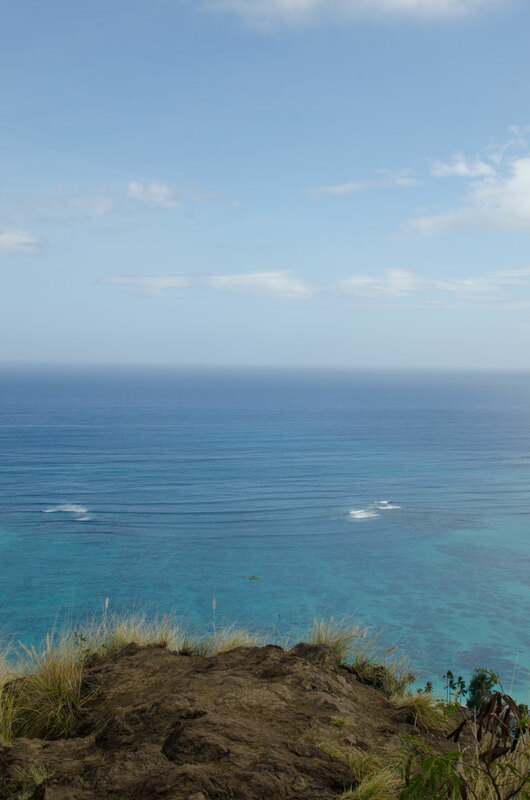 I love Diamond Head too, but I think the views here are a little better and there are usually less people. 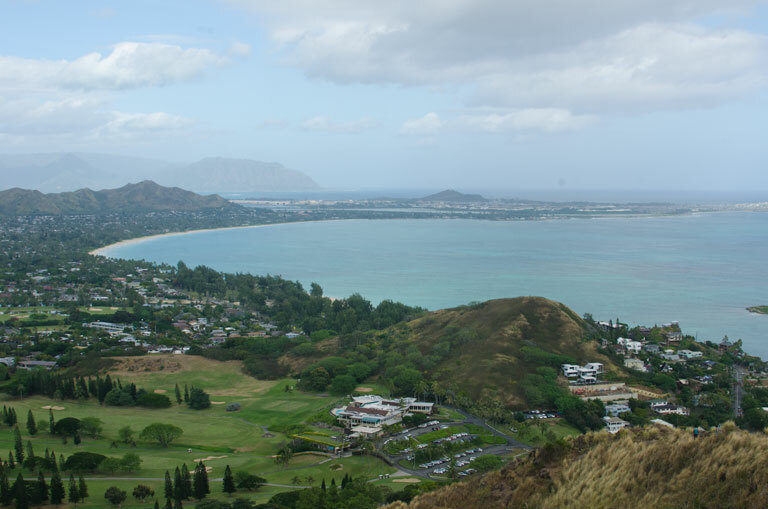 But I do love Diamond Head!